We end our Hazel & Ruby project weeks, with a gorgeous makeover by Joy Dickson! See her impressive project below! Hi Friends! 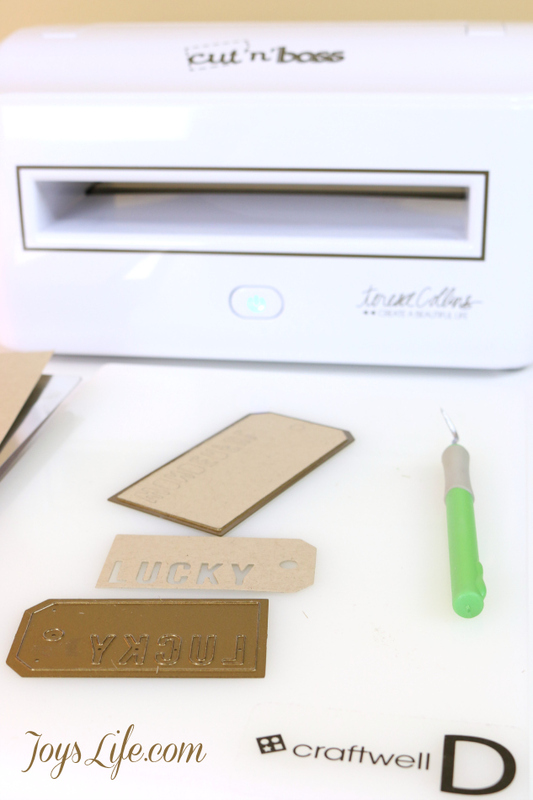 It's Joy from Joy's Life.com here today with a fun home decor project! I just love the Maps of the World paper by Hazel & Ruby so much! Just last week I used it to make this with it. 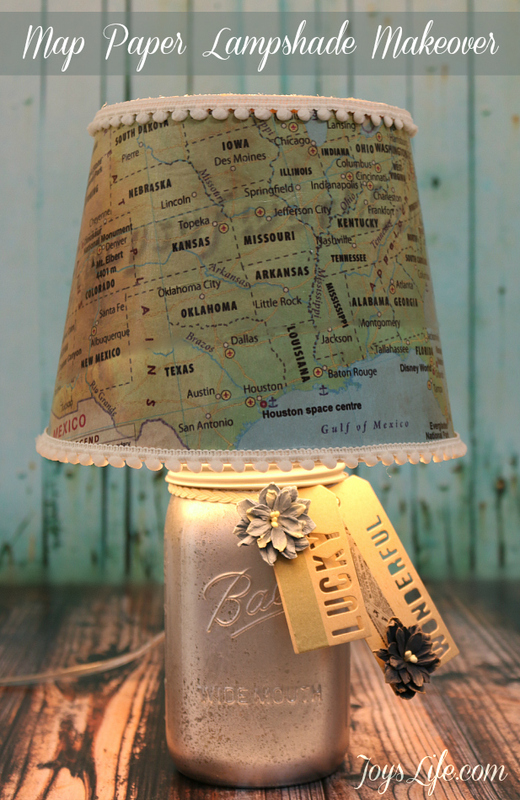 I decided that it would be perfect for making over the very plain lampshade on my craftroom lamp. 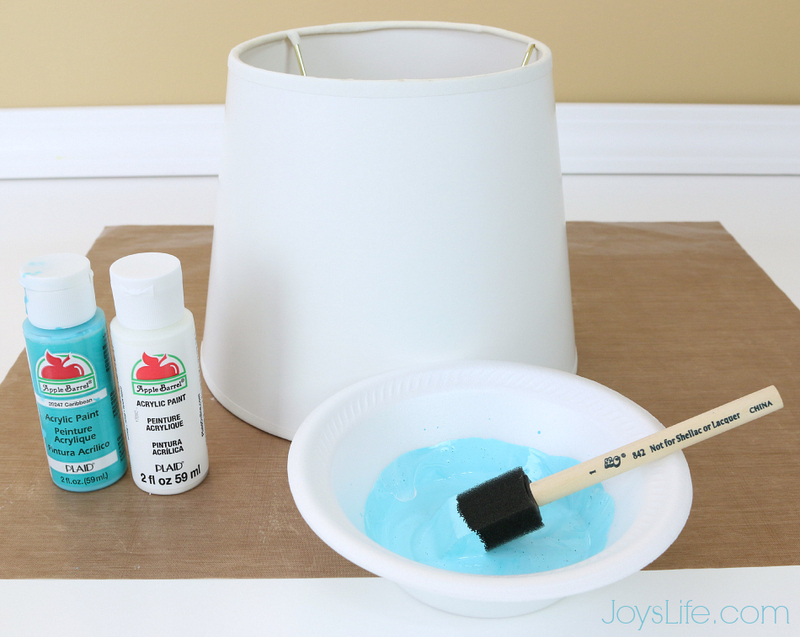 First, I painted the lampshade. 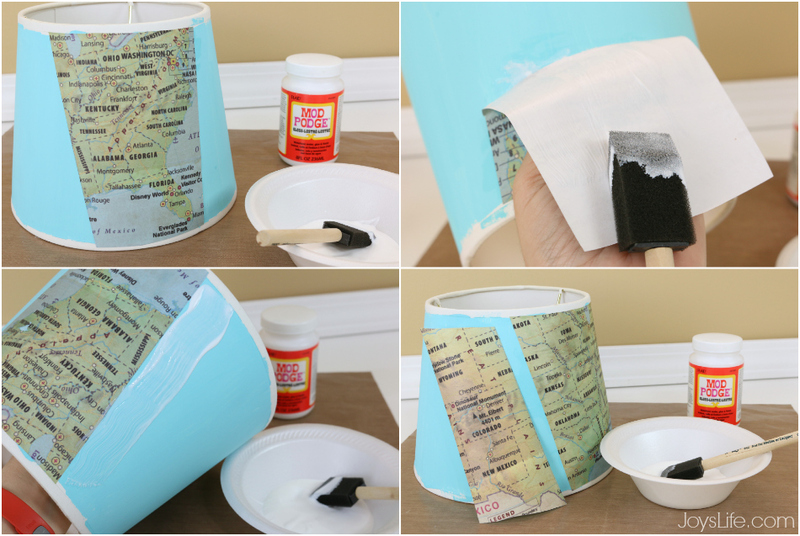 After the paint dried I cut the map paper in strips and applied them to the shade using Mod Podge. I both painted Mod Podge directly onto the shade and applied the paper and also applied the Mod Podge to the paper and then applied it to the shade. I found that putting it directly on the shade worked best because it dried super fast on the paper and I needed time to position it. After it was dry, I added pom pom ribbon to the top and bottom edges. 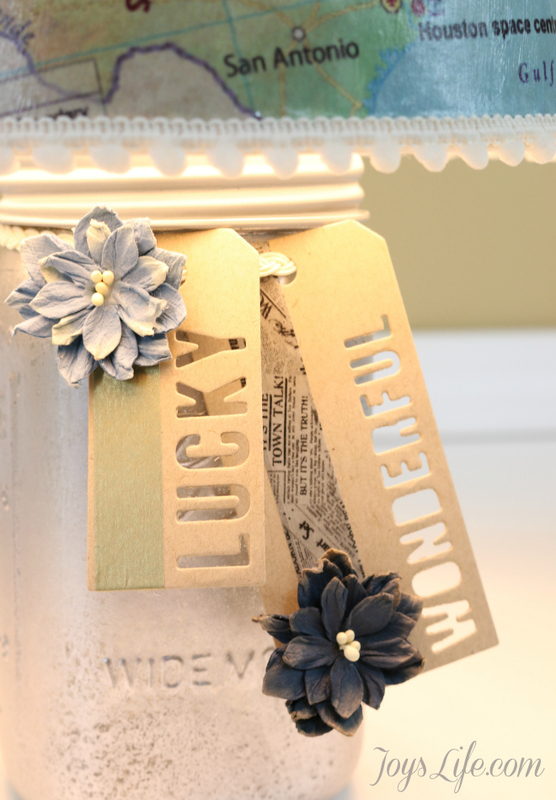 I added a few tags from Teresa Collins' Pocket Dies Lifestyle collection using my Cut'N'Boss machine. Here are other projects I've made with my Cut'N'Boss. I think it's a great machine! I hope you enjoy my project! I had a great time making it! Thank you Joy! What a gorgeous transformation! And big thanks to Hazel & Ruby for sponsoring these past two weeks! Be sure to check them out here!